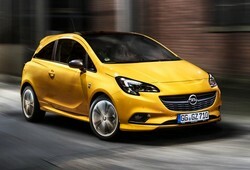 The Opel Corsa is a subcompact car that GM has manufactured and sold under varying names since 1983. Corsa is made with enjoyment in mind. Great to look at, and to drive, it’s everything you want from a city ride, with an interior so comfy you won’t want to get out. Bolder, brighter and altogether brilliant, it’s our smartest Corsa ever.That means great looks. Clever design. And an interior so gorgeous you simply won’t want to get out.Corsa is even better to drive, too, with lively engines including a punchy 1.0 litre turbo that marries exhilaration and efficiency.